From its pristine beaches to its rich history, the Dominican Republic offers something special for everyone. Whether you’re a historian, an adventurer, or a beach bum, the Dominican is the right place for you. Here are CNN’s 20 top-ranked destinations in the Dominican Republic. 1. La Catedral Primada de América (The First Cathedral in America): La Catedral Primada de América, a UNESCO World Heritage Site and the oldest cathedral in the Americas built between 1512 and 1540. Step inside the stunning architecture and visit the tomb of Christopher Columbus. 2. La Playa Bayahíbe (The Beach of Bayahíbe): If you’re fond of dazzling sunsets and delicious drinks, you’re in the right spot on the sands of Playa Bayahíbe. 3. El Salto del Limón (The Waterfall at Limón): Gear up for a hike or a horseback ride because Mother Nature doesn’t disappoint with this 40m tall waterfall with refreshing natural pools beneath. 4. La Playa Morón (The Morón Beach): Try to plan your visit to Playa Morón between January and March – chances are you will see a school of humpback whales. 5. El Teleférico de Puerto Plata (Puerto Plata cable car): Brave the climb up the Isabel de Torres Mountain in the renowned cable car. Enjoy scenic views of the city and get a beautiful, birds-eye-view of Puerto Plata. 6. Los Charcos de Damajagua (The Damajagua Waterfalls): Choose between a refreshing swim or an adventurous trek through these 27 magnificent waterfalls. 7. Los Haitises National Park: Explore the protected forest of Los Haitises and you will find unique birds and fauna, and many native and migratory species found nowhere else in the country. 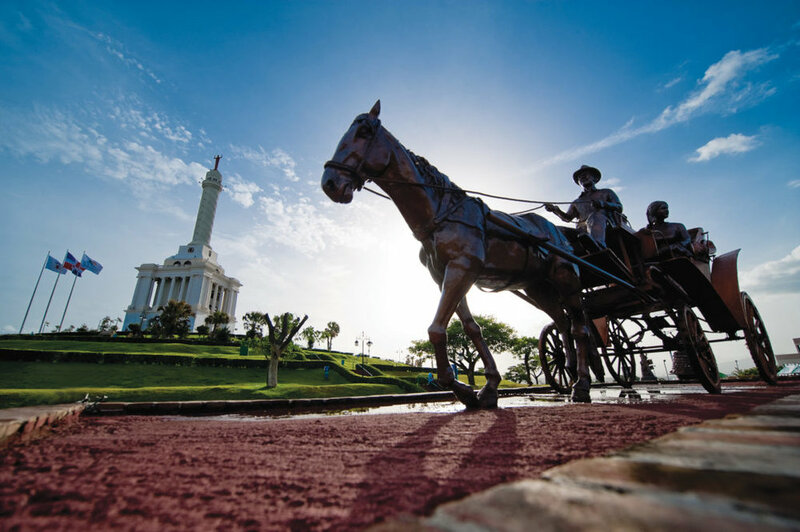 This park is a truly unique experience when travelling to the Dominican Republic. 8. El Monumento a los Héroes de la Restauración (The Monument to Heroes of the Restoration): This monument stands in dedication to the Dominican soldiers who fought against Spain in the War of Independence. The structure represents a major pillar in Dominican history. 9. Las Dunas de Baní (The Dunes of Baní): Hop on a sandboard and ride the Dunes of Baní, an incredible experience – different from anything else you will find in the Caribbean. 10. Altos de Chavón (The Cliffs of Chavón): Explore the Altos de Chavón amphitheatre that will make you feel like you have stepped out of the Dominican and have arrived in a 16th-century Mediterranean city. 11. Playa Juanillo (Juanillo Beach): Escape to this beach for rest and relaxation. Located on the eastern edge of the Dominican Republic, this beach boasts pristine white sands and glistening blue waters. Enjoy swimming, sunbathing, dining and windsurfing, or grab a drink and catch some zzz’s. 12. Los Campos de Béisbol Punta Cana (The Baseball Fields of Punta Cana): U.S. professional baseball leagues currently hold more than 100 players who got their start in the Dominican Republic; so don’t miss out on catching a glimpse of these future stars. 13. Punta Cana: Dig your toes into 32km worth of white sand at this vacation hotspot. Boasting an abundance of resorts, activities, restaurants and Piña coladas, Punta Cana will not disappoint. 14. El Antiguo Puerto Plata (Historic Puerto Plata): The historic town of Puerto Plata was founded in 1502 and named after its shimmering shoreline. Made official by a personal proclamation signed by Christopher Columbus, Puerto Plata has a distinct rich history and beautiful coastline. 15. 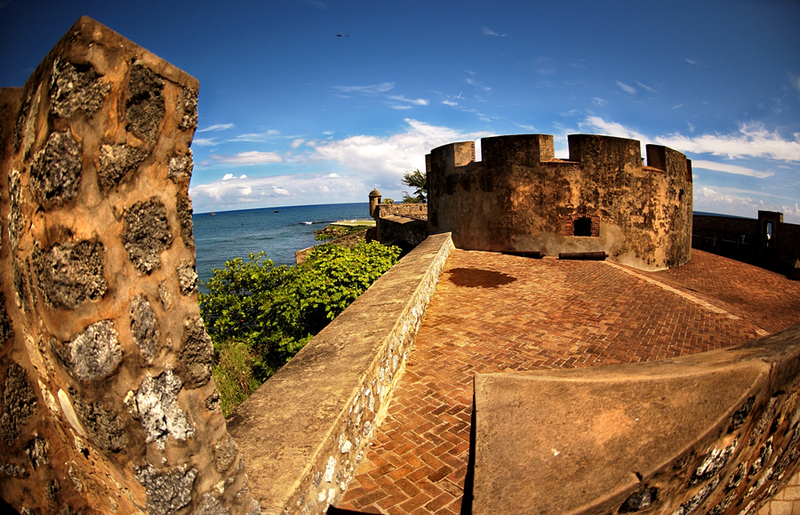 El Morro (El Morro Fort): The El Morro Fort was used to protect 16th century Puerto Plata from pirates. Today, it is a museum, overlooking the vast Atlantic Ocean, that exhibits the city’s rich history. 16. La Playa Rincón (Rincón Beach): Enjoy a day devouring fresh seafood on this 3km stretch of beach located in Las Galeras. Rinse off with a dip in the freshwater current at the western end of the beach. *Fun fact: Some historians claim this beach is where Columbus dropped anchor. 17. La Fortaleza Ozama (The Ozama Fortress): The Ozama Fortress is a sixteenth-century castle built by the Spanish. Overlooking the Ozama River, this castle is a beautiful representation of medieval architecture, and not to be missed. 18. 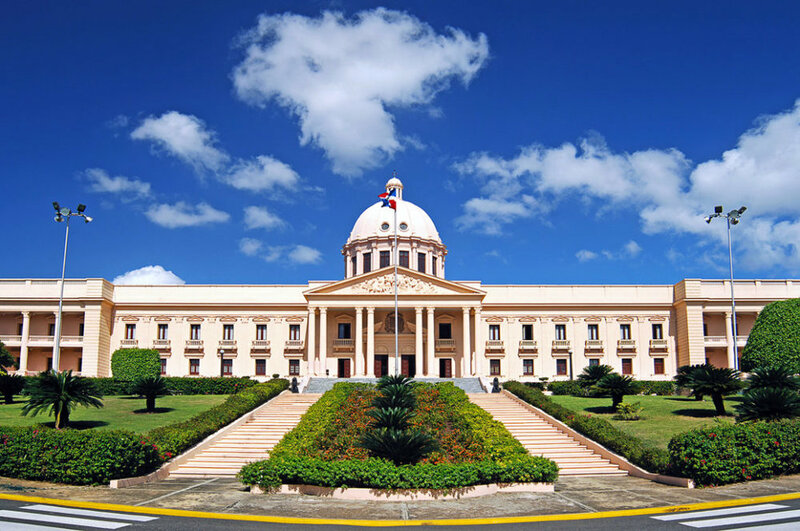 El Palacio Nacional (The National Palace): The National Palace occupies the Executive Branch of the Dominican Republic. Located in Santo Domingo, the Palace is an incredible structure with ornate details and beautiful gardens. 19. Las Cuevas de las Maravillas (The Caves of Wonders): Step into the Caves of Wonders and surround yourself with hundreds of Taino Indian cave paintings engraved into the rocks. 20. La Basílica de Higüey (The Basilica of Higüey): The Basilica of Higüey is one of the most acclaimed cathedrals in the country because of its original architecture and unconventional stained-glass embellishments.20. La Basílica de Higüey (The Basilica of Higüey): The Basilica of Higüey is one of the most acclaimed cathedrals in the country because of its original architecture and unconventional stained-glass embellishments.